Goodreads Summary: The first book in an exciting YA trilogy, this is the story of two best friends on the verge of a terrifying divide when they begin to encounter a cast of strange and mythical characters. 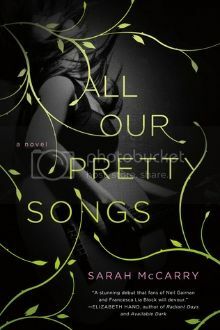 Almost every book involving musicians or even hinting at anything musical end up on my TBR list. This one sounds really interesting, and I'm curious to see how this plays out.